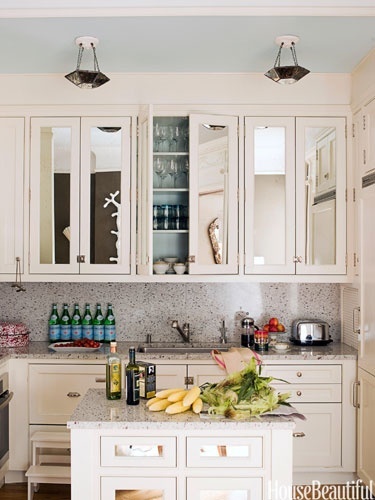 Rounding up a few of our recent faves on Pinterest….this week, we were drawn to the way each of these kitchens utilizes glass cabinet doors in the wall cabinets. 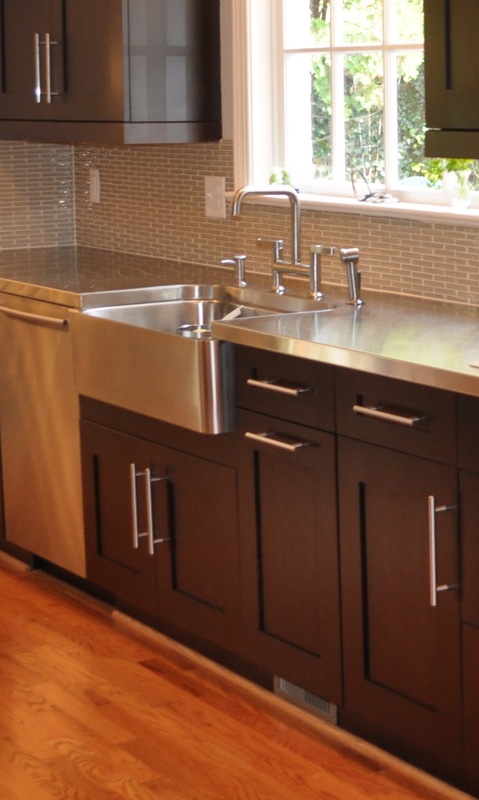 The mismatched cabinet hardware is what grabbed us here, but do love the glass cabinets on either side of the sink. 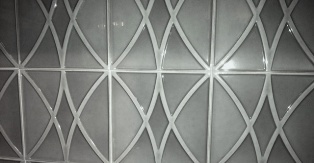 Leaded glass is often thought of as heavy, but has a much lighter look here. 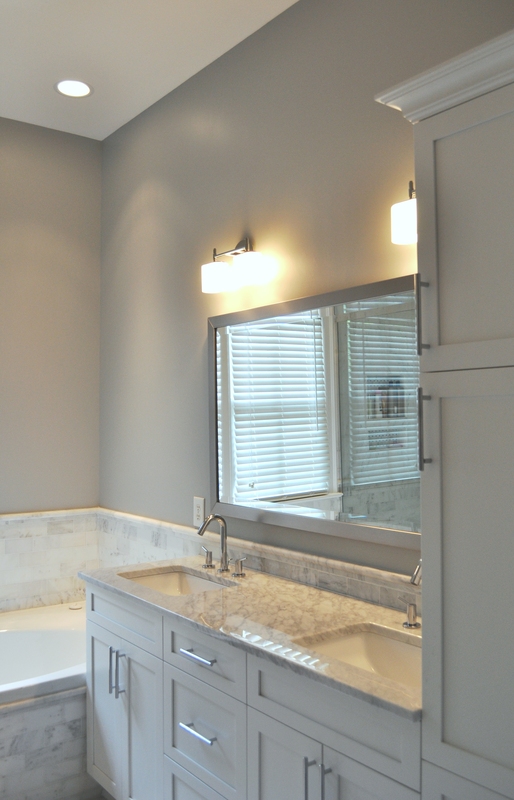 Loving the mirrored drawer fronts to go with the mirrored doors! 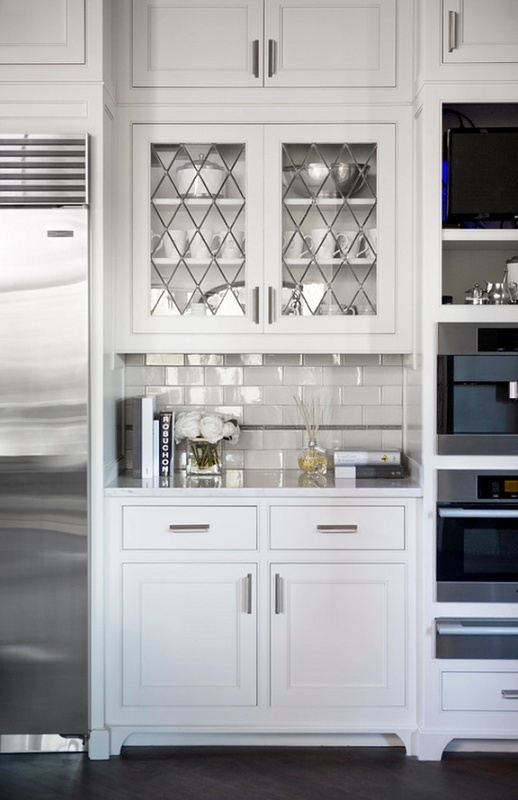 So much to love about this kitchen…glass included! 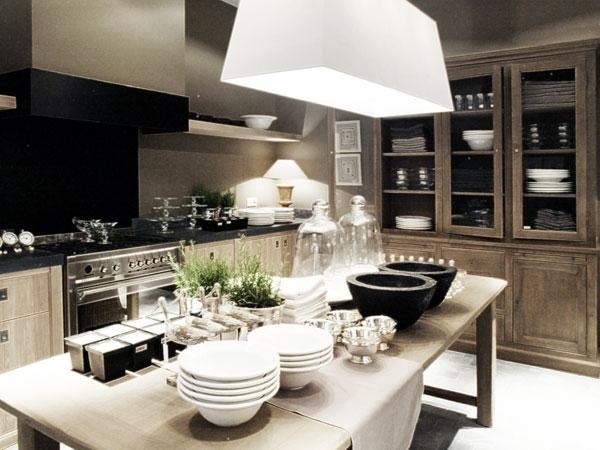 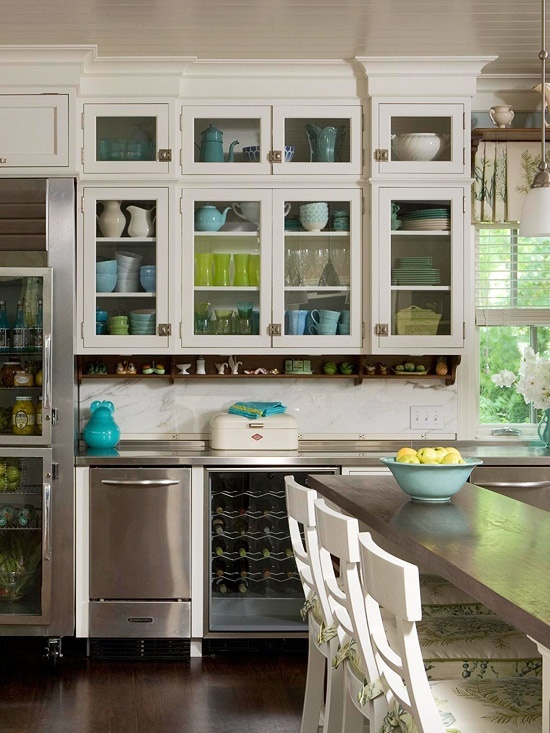 Glass cabinets are a great opportunity to add color and show off your collections. 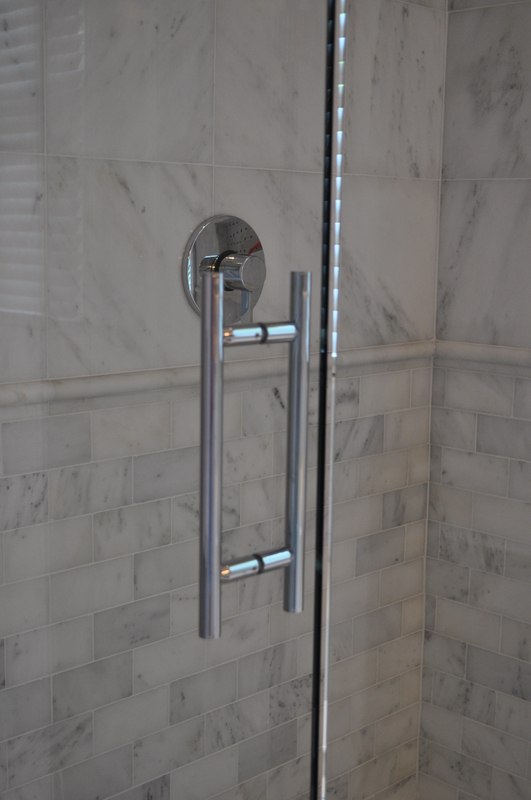 Would have been a shame to hide all this behind solid doors! 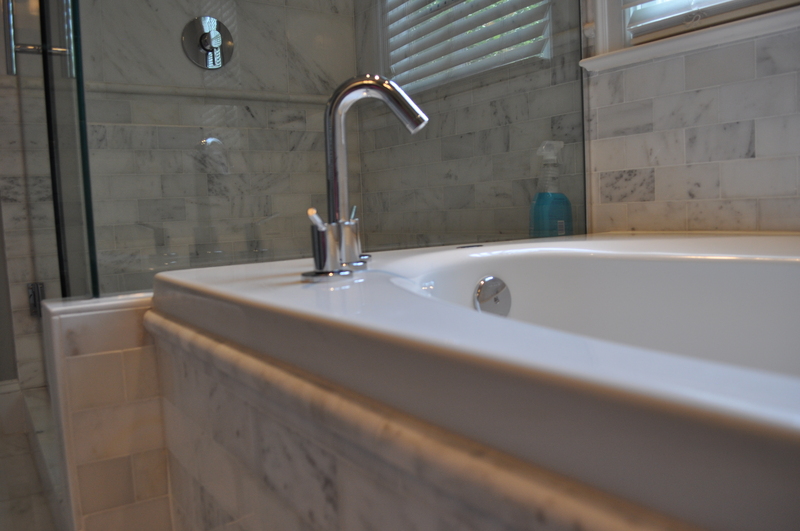 Couple of recent job photos! 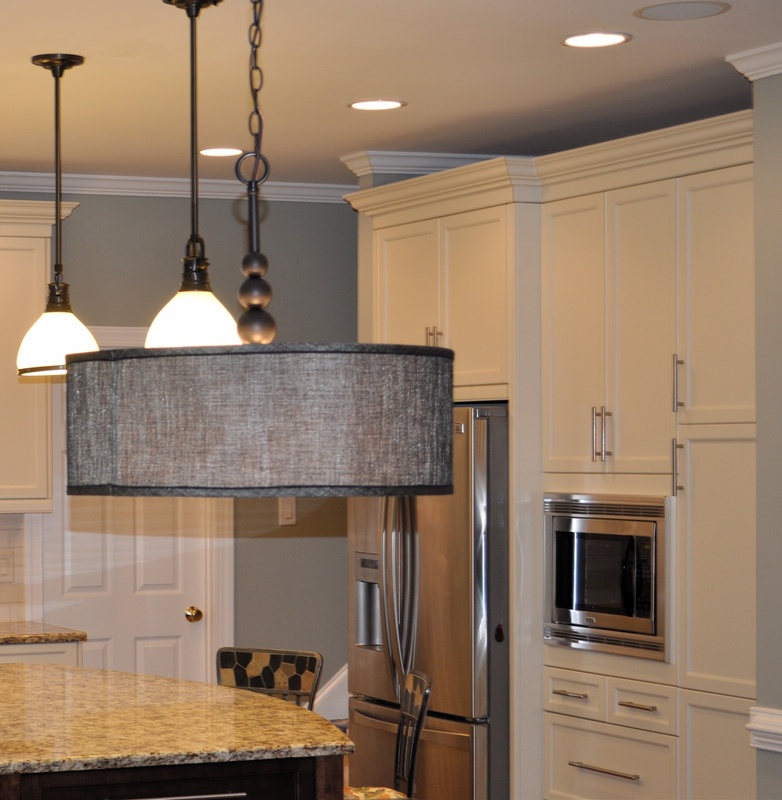 Organizing some of our completed job photos! 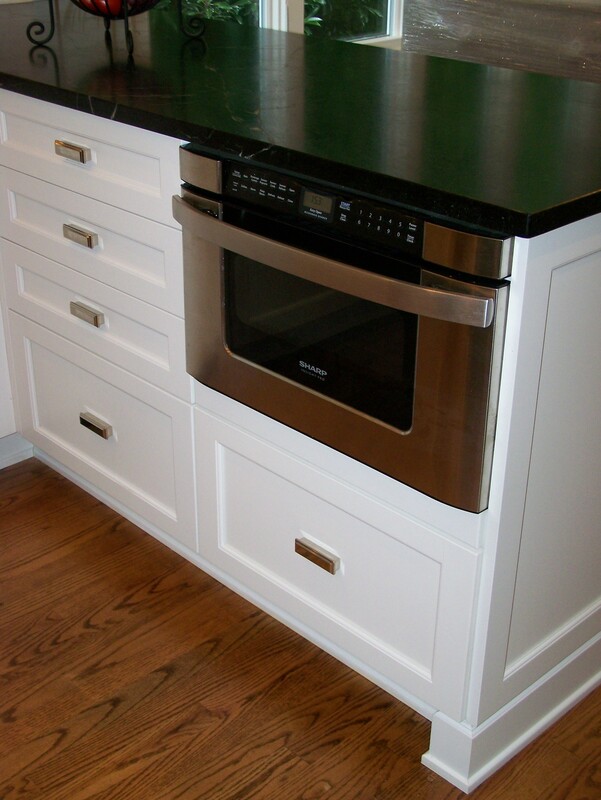 So fun to see the after pics….one of the best parts of the job! 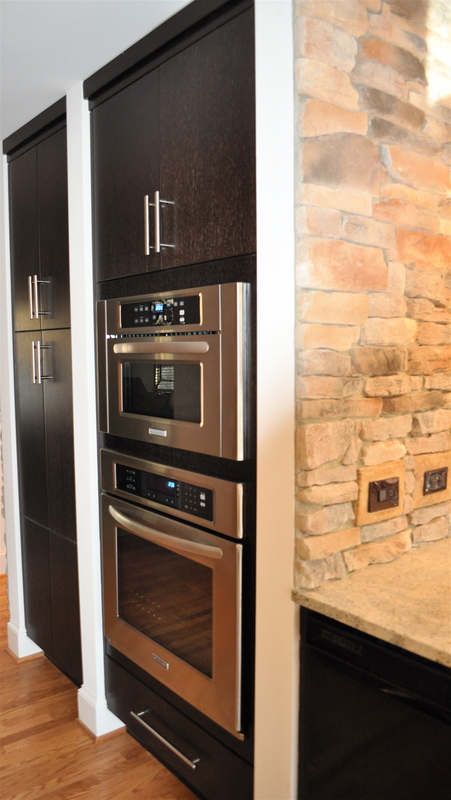 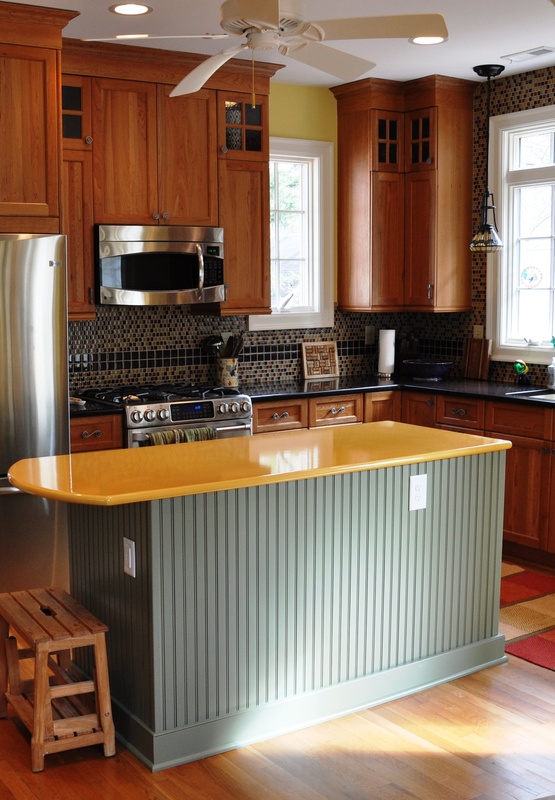 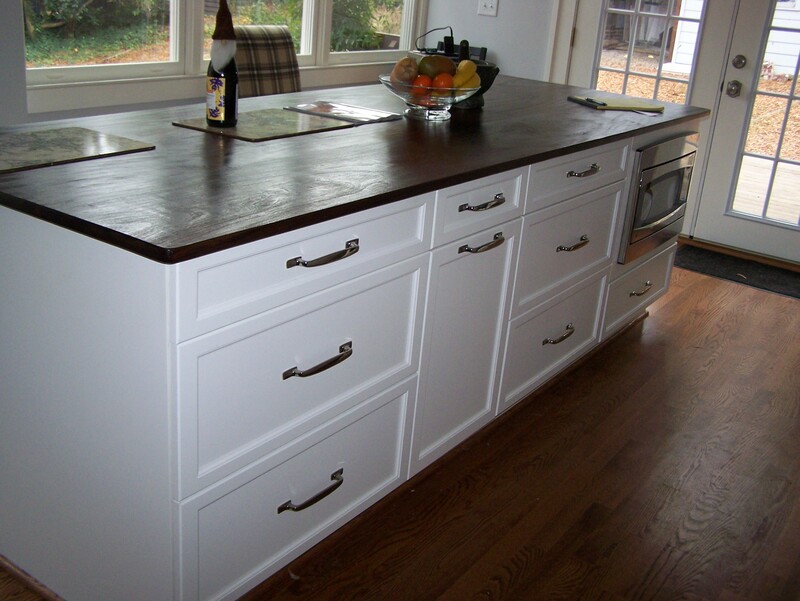 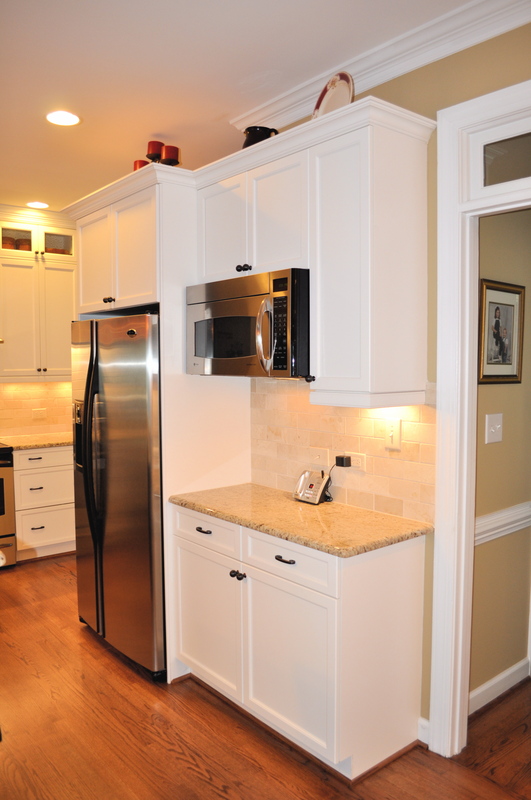 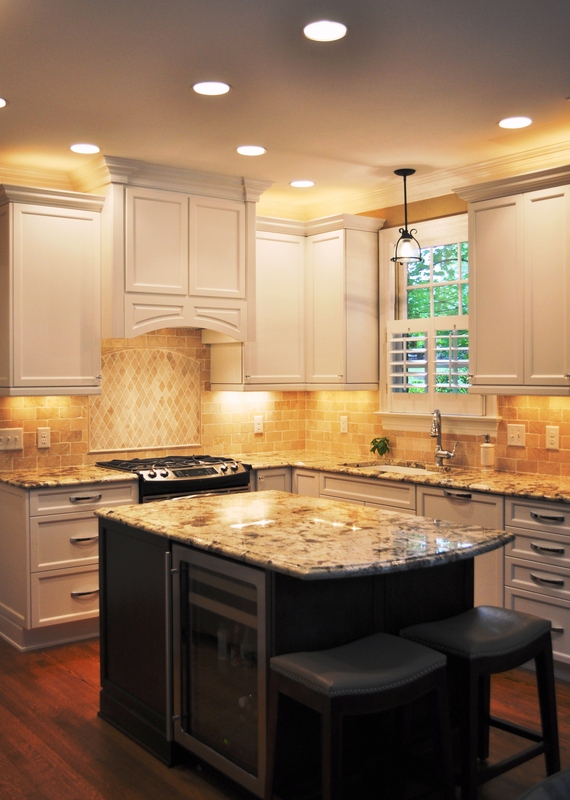 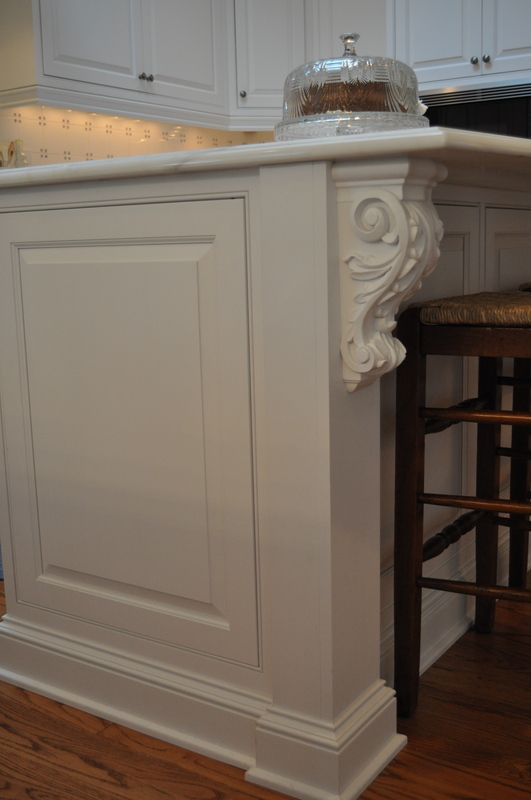 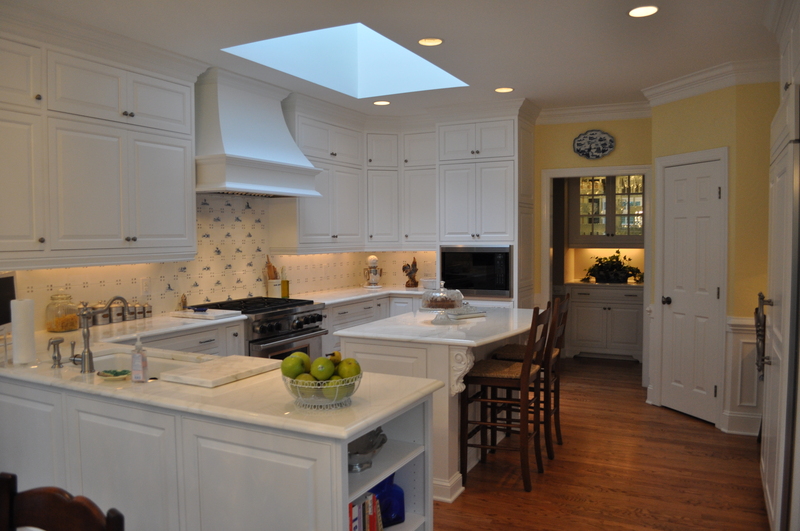 Here are a couple from a kitchen project completed last year- beautiful inset cabinetry with marble countertops. 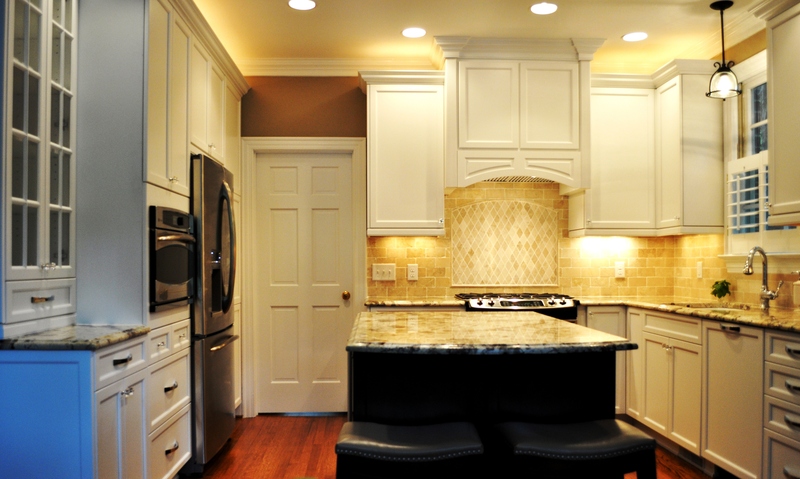 We pride ourselves on being versatile in any style of design. 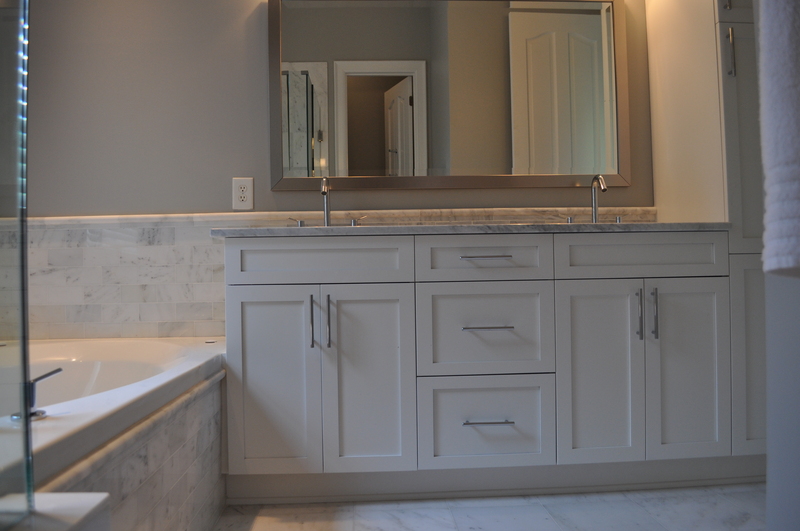 Take a look at two of our recent projects that depict flexibility in our design styles.The first three pictures are of a beautiful classic styled bathroom, while the final three illustrate the clean lines of a modern style kitchen. 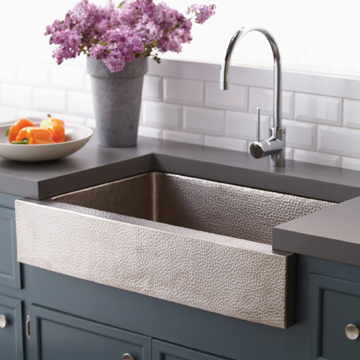 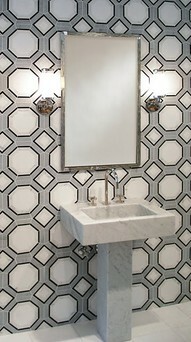 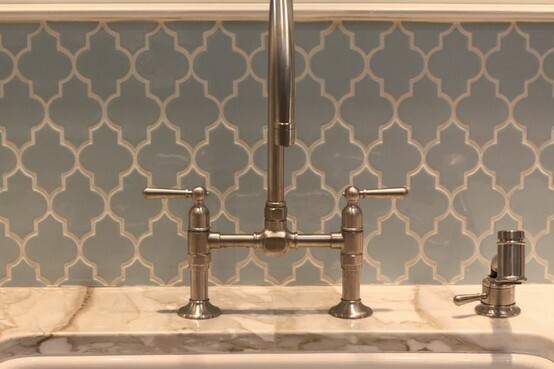 Geometric tile is sparking a new trend in backsplashes these days! 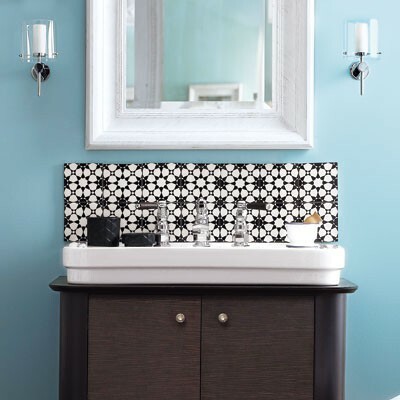 Tile can be a cost-effective way to spruce up your space with style. 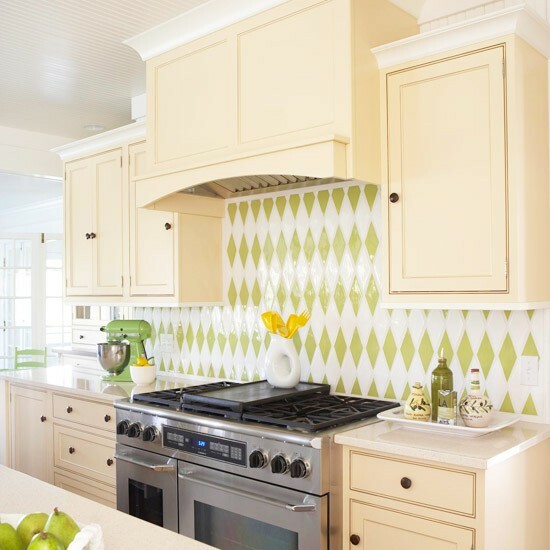 Repetition of geometric shapes in subtle colors gives a fun yet sophisticated look. 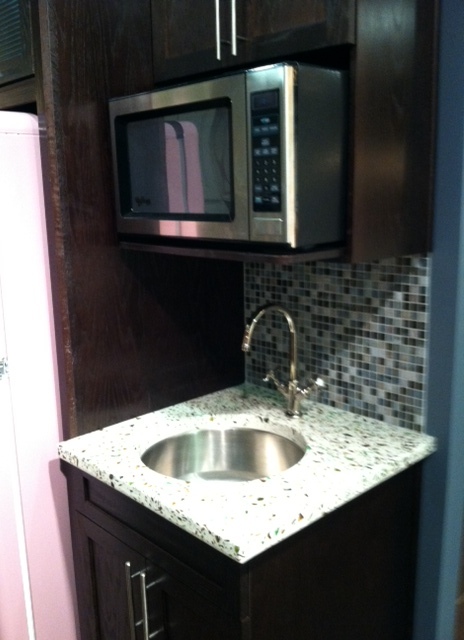 Check out this recently installed backsplash in our North Hills showroom! 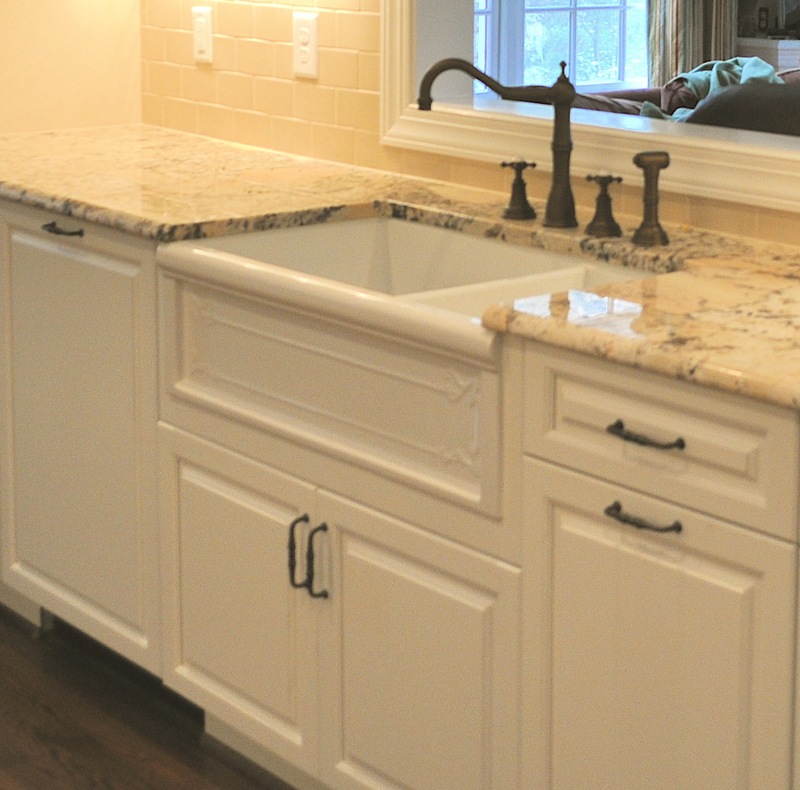 For more ideas check out a few more of our favorites below!